Point2 Homes gives you far more than a simple list of houses for sale. Get instant access to a lot of relevant information about Evergreen, Saskatoon, SK real estate, including property descriptions, virtual tours, maps and photos. The search results pages also have a wealth of information on Evergreen, Saskatoon, SK, if you scroll all the way down. There are 108 houses for sale in Evergreen, Saskatoon, SK. 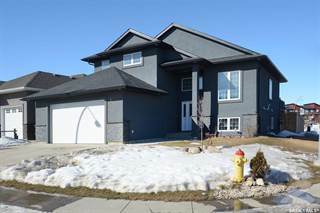 Searching homes for sale in Evergreen, Saskatoon, SK has never been more convenient. 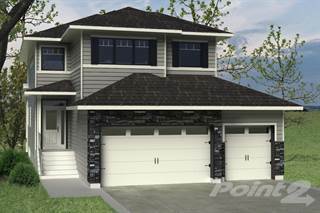 With Point2 Homes, you can easily browse through Evergreen, Saskatoon, SK single family homes for sale, townhomes, condos and commercial properties, and quickly get a general perspective of the real estate prices. Also, you’ll never miss a bargain if you filter listings based on house price drops in the past six months. Use the map view to find Evergreen, Saskatoon, SK homes and apartments for sale, based on amenities or city features that you may want close by. You can close in on a specific neighbourhood or area by simply drawing around them with the polygon or radius tools. Stay informed about the latest entries on the real estate market by saving your searches. This way, you get new listings in your inbox, daily or every week, based on your preferences. If you’d like to get in touch with a professional, agents are displayed next to their listings, and they’re easy to contact through the online forms. If you want more options, you can click the Tools tab and Find an Agent, and you’ll get a list of helpful and knowledgeable real estate agents in Evergreen, Saskatoon, SK. Visit the Point2 Homes blog and you can find up to date expert advice on many markets throughout Canada, regular market reports, neighbourhood scoops in cities throughout the provinces, real estate deals and useful recommendations. As one of the newest neighbourhoods in Saskatoon, Evergreen is still experiencing some development. The focus is on family living, with mostly single-family homes, plenty of park space, and little to no commercial areas. Amenities are few and far between, so residents must seek out dining options, entertainment, and recreational pursuits in nearby neighbourhoods. Evergreen is a suburban neighbourhood in the northwest corner of the city. It extends from Carr Crescent in the west to Range Road 3045 in the east, and from the Northeast Swale in the north to Pohorecky Crescent in the south. Parts of the neighbourhood are still under construction/development, due to Evergreen being one of the newer neighbourhoods in the city. Evergreen is a quiet, residential area geared to families. Because Evergreen is mostly a residential neighbourhood, there are few entertainment options within its boundaries. Residents can find activities outside of the neighbourhood to keep busy. The SaskTel Sports Centre, located south of the neighbourhood, is a stadium used primarily for soccer games. The centre has two outdoor, full-sized artificial turf fields; one indoor, full-sized artificial turf field; one indoor, mid-sized artificial turf field; one smooth floor court; three volleyball courts; four beach volleyball/soccer courts; a walking track; a circuit centre; a fitness centre; a full-service cafeteria; concession services; dressing rooms; a meeting room; and a large lobby/commons area. The Saskatoon Forestry Farm Park and Zoo, also located south of the neighbourhood, is a 100-year-old historic site with gardens, restored heritage buildings, a playground, and a zoo. Animals at the zoo include mammals like bears, foxes, deer, sheep, goats, and monkeys; reptiles like snakes, turtles, and lizards; birds like owls, kestrels, hawks, and turkeys; as well as frogs, insects, and fish. The zoo also has a children’s zoo, a train, a discovery centre, a gift shop, and a restaurant. There are no restaurant options in Evergreen, but residents can find places to eat south of the neighbourhood. Pink Cadillacs Diner on Willowgrove Square features classic 1950s diner décor and a menu to match. Customers can get favourites like burgers, fries, sandwiches, hot dogs, milkshakes, malts, and floats. The restaurant is a fun outing for family and friends. Venice House Traditional Grill on Central Avenue offers standards such as pizza, pasta, sandwiches, salads, and soups. Meals are served in the comfortable dining area, or, for private parties, in the more elegant banquet room. Also on Central Avenue is Mirch Fine Indian Cuisine, which offers dine in, takeout, and delivery options for customers. The menu boasts colourful and flavourful dishes such as samosas, tikka, tandoori, kebabs, naan, curries, and paneer, as well as a buffet option. The large dining area is ideal for family gatherings or groups of friends. Evergreen’s real estate options are almost entirely detached single-family homes, with a few condo and semi-detached options also available. The average price for single-detached homes in the area is $447,923, which is much higher than the average price for single-detached homes in Saskatchewan overall ($285,811). The population of Evergreen is 3,283, and this has been growing slightly over the past several years. Families make up 57% of the population here, 25% are couples, and 18% are single. The average annual income is $115,554, which is more than the average for the province as a whole, and 47% of residents are university or college educated. Other than a bit of traffic pollution from nearby highways, Evergreen’s air quality tends to be good. Noise can be an issue near major roadways in the area, but the neighbourhood is otherwise very quiet. The crime rate in Evergreen is very low. The most common types of crime here are assault and mischief. School options in Evergreen include Evergreen School, Sylvia Fedoruk School, and St. Nicholas Catholic School. Other options can be found in nearby neighbourhoods and include Silverspring School, Mother Teresa School, Centennial Collegiate, St. Joseph High School, and Willowgrove Elementary School. There are no post-secondary options in the neighbourhood, so residents must travel closer to the city centre to access options such as Saskatchewan Polytechnic, Academy of Learning College, Saskatoon Business College, and the University of Saskatchewan. Only a couple of Saskatoon Transit routes run through the neighbourhood: routes 28 (Willowgrove / Silverspring – operates only Monday to Friday) and 40 (Evergreen / City Centre). These routes connect to other nearby routes, which allow passengers to access other areas of the city, including Downtown. For a newly built, smaller neighbourhood, Evergreen has a great deal of park space for residents. Jill Postlethwaite Park in the western section of Evergreen offers a large playground, landscaped areas, a short walking path, greenspace, picnic tables, and benches. In the southwestern section, John Brockelbank Park and George Dyck Park have walking paths that cut through natural greenspace and treed areas, as well as having benches, while Elaine Hnatyshyn Park has walking paths, greenspace, landscaped areas, benches, and a small playground. Klombies Park in the northwestern section has a long walking path that winds through greenspace and landscaped areas, and also has benches. Edward S. Blain Park in the northeastern section is a small greenspace with a short walking path and benches. Korpan Park, also in the northeastern section, includes a playground, a short walking path, benches, and greenspace. Other park spaces in the neighbourhood are being constructed, including Cannam Park in the northwest section. There are no community centres in the Evergreen neighbourhood, but there are some options nearby. The Lakewood Civic Centre, located south of Evergreen, has a leisure pool, splash pools, a waterslide, a hot tub, a poolside deck, an outdoor deck (with picnic area, on-deck shower, and basketball hoop), fitness and weight rooms, a gymnasium, a multipurpose room, a preschool room, an indoor playground, lockers, change rooms, and free Wi-Fi. Activities at the centre include swimming, basketball, yoga, cardio, and aquafit. Two branches of the Saskatoon Public Library can be found near the neighbourhood: the Alice Turner branch located south of Evergreen, and the Rusty Macdonald branch located west of Evergreen. Both branches offer free Wi-Fi access, access to computers/printers/scanners/photocopiers, various print materials, study spaces, and community programs for people of all ages.